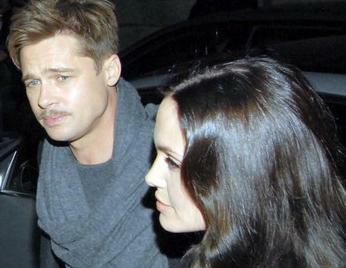 Brad Pitt Got Charity Pressure From Angelina Jolie? Brad Pitt has spent millions on his art collection but Angelina Jolie wanted him to sell his collection and donate the money to charity. The “Changeling” actress, who has six children with Brad, doesn’t share her lover’s taste in art and has reportedly delivered an ultimatum to convince Brad to get rid of the pieces. Brad, who has spent millions on his collection, has decorated their Los Angeles home with rare paintings, sculptures and furniture from all over the world.